French filmmaker Claire Denis has enriched contemporary art house cinema for over 25 years. The former assistant of Jim Jarmusch and Wim Wenders has crossed conventional formal and narrative boundaries to develop her very own visual language. Since her debut CHOCOLAT (1988), identity and (post) colonialism have remained important themes aspects for this West African-raised director and screenwriter. Her list of award-winning films includes NENETTE ET BONI (1996), BEAU TRAVAIL (1999) and WHITE MATERIAL (2009). With its A Tribute To ... award, ZFF honours one of the most important exponents of European cinema. 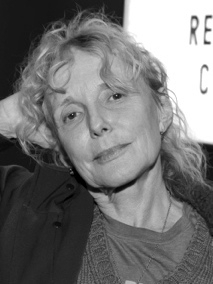 Claire Denis will accept the award in person during the Award Night ceremony on October 4. Six of her most important works will be screened in a small ZFF retrospective. Michael Shamberg is one of America’s most outstanding contemporary film producers. He runs the production company Double Feature Films with Stacy Sher, and serves as an advisor for BuzzFeed Motion Pictures, a new platform producing online video content. 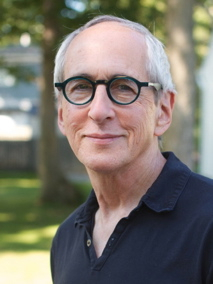 His body of work spans more than four decades, crosses many different genres, and includes such Academy Award nominated films as THE BIG CHILL (1983) and ERIN BROCKOVICH (2000). In honour of this exceptional producer, ZFF screens six of his most important films in a small retrospective. Michael Shamberg will accept the Career Achievement Award in person at the screening of WISH I WAS HERE on Friday, September 26 at the cinema corso. His latest production A WALK AMONG THE TOMBSTONES will be shown in the 10th ZFF’s Gala Premiere section. Hans Zimmer is one of the most innovative, creative and celebrated film music composers of our time. With his fusion of the ordinary and the extraordinary, traditional instruments and synthesized sounds, the simple with the complex, he has been a pioneer in exploring cineastic worlds for 30 years. Zimmer’s career is dotted with an Academy Award (for THE LION KING, 1995), two Golden Globes and three Grammys. His best-known scores include those for RAIN MAN (1988), AS GOOD AS IT GETS (1997) and INCEPTION (2010). Zimmer is currently working on Christopher Nolan’s latest film INTERSTELLAR, which will be launched this coming November. 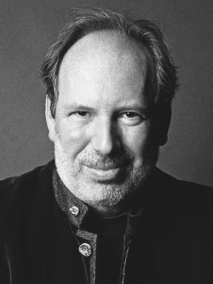 Hans Zimmer will receive the Lifetime Achievement Award in person on October 1, 2014. The Golden Eye will be presented on the occasion of the 3rd International Film Music Competition, during which a film music concert produced exclusively for this evening will also be performed. The multi-faceted American superwoman Diane Keaton is an actress extraordinaire and an icon of American cinema. Keaton began her impressive career on Broadway. Her portrayal of Linda in Play it Again Sam earned her a Tony Award nomination – and a role opposite Woody Allen in the film of the same name. A long and successful collaboration with this multi-talented New Yorker followed. Keaton's performance as the protagonist in ANNIE HALL (1977) earned her an Academy Award for Best Actress. Equally versed in both drama and comedy, the Grande Dame of Hollywood has starred in over sixty feature films, including THE GODFATHER trilogy (1972-1990) and SOMETHING’S GOTTA GIVE (2003). To honour this award recipient, ZFF will screen six of her most memorable works in a small retrospective. Diane Keaton will receive the Golden Icon Award in person on October 1, 2014 at the cinema corso.